Well-known Australian accounting products producer, MYOB, is one of many software vendors embracing the cloud with a range of subscription-based solutions. But like all cases of disruptive change, the transition raises questions around how to juggle loyal followers who don’t want to make that leap, embrace the new ones who do, and take the first step with those thinking about it – all while sticking to the brand’s vision of making business life easier. The company’s general manager of marketing, Caroline Ruddick, has embraced that balancing act with gusto, and was attracted to the role because of that very opportunity to take a mature brand in a new direction. Ruddick joined MYOB in early 2012 and said the loyalty MYOB commands across Australia’s small business community, as well as its progressive leadership team led by CEO Tim Reed, were other major drawcards. “I thought it was a great opportunity to get in, understand and try and move an audience from being traditional software and capture a new market,” she said. Among her first priorities was positioning the cloud version of MYOB’s flagship product, AccountRight Live. The software allows customers to leverage a combination of cloud and on-premise features, catering to those who want to migrate some, but not all, of their applications online. “It’s important with a mature brand that you don’t change just for change’s sake,” Ruddick commented. “I needed to understand what is great about the brand, what is working well, what are the ‘sacred cows’ and use the research and data to understand how our brand is perceived and how people feel about it. Ruddick is a marketer through and through and began her career at high-profile packaged goods manufacturer, Procter and Gamble. She worked across beauty product lines before moving into confectionery to manage brands such as Maltesers, M&Ms and Milky Way. She claims that early experience taught her the value of understanding what the customer is thinking and how they respond by utilising data. “You need to know and understand that consumer intimately in order to maximise the potential of the product and get it right,” she said. “In packaged goods, the product design and benefits are very much led by marketing, whereas in other organisations you can have a situation where things are product led and marketers find a way back to the consumer. The philosophy at P&G is to start with the consumer. Mars Confectionery was followed by a stint in communications with the George Paterson Partners representing brands owned by another American-based company, General Mills. A highlight for Ruddick was taking a globally successful brand and making it locally relevant. “I love the challenge of getting under the hood of each product and why it was relevant or irrelevant, if the case may be, and get the consumer from A to B in order to sell,” she said. After several years in the US working with Grey NY on the P&G business in Cincinnati, Ruddick came back to Australia and joined online-based recruitment firm Seek, a position she says gave her solid grounding in digital marketing. 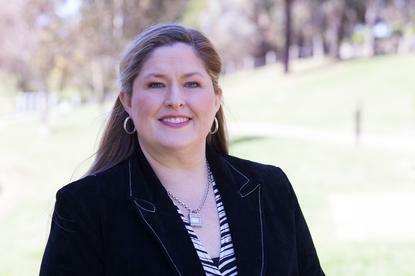 Four-and-a-half years later, she was given the opportunity to join MYOB. “A lot of clients will tell you they use MYOB – some might tell you the product name, but the majority just say MYOB and it’s become so synonymous with business management, loving the brand and what it does for them,” she said. To meet it, MYOB has increased its investment in marketing significantly over the last couple of years, and is putting more emphasis on digital channels. Other technology-fuelled innovations last year included an overhaul of its website to improve the customer’s experience, along with expanding the social support team to better focus on engagement and strategy. “We have a social engagement strategy around awareness and supporting business from a brand goodwill point of view,” Ruddick explained. “We have many different social channels and participate in even more. It is a case of constant monitoring and being aware of what those clients want from those social channels, and being there to help them. “With our blogs, we also have an education presence which helps small business understand how to do things better, whether it be improving your marketing strategy, or doing more with leads. For us, that is about being a go-to place for them to get advice on their business. Ensuring the company is also socially savvy has been an ongoing priority and MYOB staff now collaborate through social tools like Work.com and Yammer. “The fact that our CEO is very pro-social helps too,” she added. One of the biggest challenges Ruddick faces is to transform and integrate the marketing division’s systems to take advantage of new monitoring developments, while keeping an eye on what’s on the horizon. “Today we have the technology to track and understand consumers in a way we never could before,” she said. “We had a fantastic example just last week of a journey of a prospective client over a seven-week period. It was a great way of seeing how he started to understand what he wanted from an accounting software package, and the moments he engaged with us. “It started with articles on running a business from our blog, which provided education around the business needs, to exploring products, then raising questions with our support team, and finally becoming an established customer. It showed you can track and follow exactly what someone is doing and how they’re behaving, and what you really need to do to bring them through that journey. As a CMO, the road ahead is also about ensuring the team takes increased responsibility for making decisions, Ruddick said.